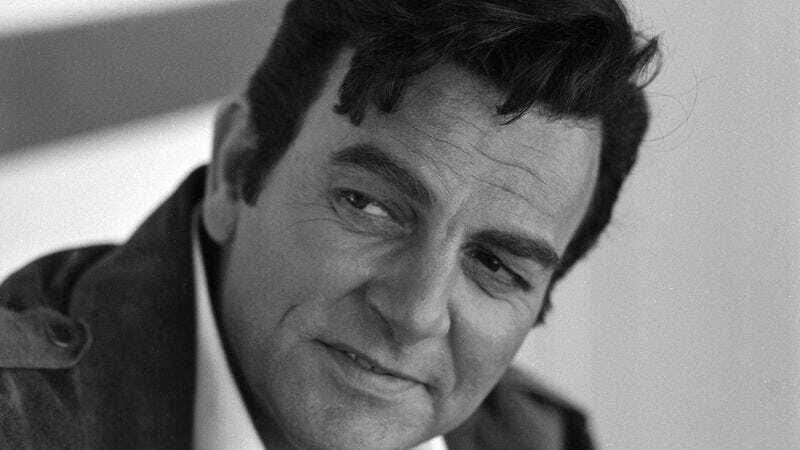 Mike Connors, the lantern-jawed star of CBS’s long-running detective show Mannix, has died. Born Kreker J. Ohanian, Connors initially took “Touch Connors” as his stage name; the billing appears on a number of his early roles, where his expressive face and hangdog looks made him an ideal complement to various TV Westerns. (Wagon Train, Gunsmoke, and Have Gun—Will Travel are just a few of the small-screen oaters dotting his resume from that time.) He also fell in for a period with Roger Corman, lending his talents to such B-movie quickies as Swamp Women and The Day The World Ended. As the ’50s gave way to the ‘60s, Connors’ star steadily rose. In 1959 (now going by the name Michael), he scored his first leading role, taking on the part of an unnamed undercover detective for CBS’s single-season police drama Tightrope. But it wasn’t until 1967 that Connors found his true breakout part, slipping into the flat feet and weathered knuckles of hard-boiled detective Joe Mannix. After the series ended, Connors continued to work steadily for the next 25 years, often on detective shows. (Credits include Murder She Wrote, The Commish, and Diagnosis: Murder, where he reprised the role of Joe Mannix for a single episode.) All told, he ended his career with more than a hundred credits to his name, and worked steadily in the business for a total of 65 years. Variety reports that Connors was 91 when he died. Leukemia was the cause of death.